The philosophy underpinning SMÁCHT is that whilst motivation gets you going it’s routines that keep you going. Therefore at each of our sessions we identify a particular motive and routine that influences our business and life. Last month we had a rousing discussion on one of our favorite and revered and iconic motives and routines. Drinking alcohol. Several motives for drinking were proffered. It was agreed we drink alcohol because. It helps us unwind and relax at the end of a tough day or week. It assists us in coping with the problems and challenges in business. It makes us feel happier. It’s essential for any and all social occasions. I mean, what christening, communion, confirmation, wedding or funeral isn’t laced with booze? It gives you great confidence at business networking events or social events in general. It’s supposed to be good for your health in moderation. It tastes wonderful with food. Everyone else seems to be doing it and sure that must mean it’s ok provided you’re not a problem drinker. In fact, we concluded that booze is very much part and parcel of everyday life – entrepreneurial life in particular. And interestingly, despite having misgivings about the occasional hangover or two we felt in general that we were in control of the ‘cratur’ and could ‘take it or leave it’ if the mood took us. ‘I was in a train tunnel deep under London Heathrow International Airport. I was having one of those big moments in life, moments where you know everything must change. I had stayed up drinking the night before (a typical work trip) and topped myself off with a few screwdrivers at breakfast. Long before this day I had decided to moderate my drinking, yet sitting there I realized rather than drinking less I was drinking more. And I didn’t understand why. I was lost. I believed I was smart, capable and strong-willed yet with alcohol I felt weak, stupid and out of control. What was happening to me? I was losing myself. I was convinced that alcohol had no right to be big and powerful in my life when I wanted it to be small and irrelevant. I didn’t yet understand the brain science, the role of the unconscious mind or the cycle of addiction but I knew I was not willing to continue allowing this substance so much power in my life. She proceeded to study forensically the science on alcohol and its impact and she recorded her discoveries in a cracking read called ‘This Naked Mind.’ The table of contents is almost identical to the reasons our SMÁCHT group gave for drinking yet Annie exposes each one of them as insidious myths that instead of enriching and uplifting us actually deprive us of our ambition, our courage and our genius. Anxiety and Stress. Far from being a stress buster alcohol can more accurately be described as a stress delayer. I for one can relate to the blissful thought of a few drinks on a Friday evening after a long and stressful week. They very definitely do take the edge of the pain – in the short term. The reality is however that they have nothing to do with the original source of the stress. When the immediate effect of the alcohol dissipates the cause of the stress remains and as the founder of the Cistercian’s, St Bernard of Clairvaux famously said. ‘There is no greater misery than false joys.’ The most insidious impact of this however is that we subconsciously make the association between pain relief and alcohol and as such we create a monster. Happiness. Credit to the marketing profession for making us assume that alcohol is virtually ubiquitous for happiness. In fact the assumption that booze makes us happy includes an inherent assertion that not drinking will make you unhappy. In fact it’s fair to say that the thought of life without drink would precipitate fear and terror. The reality is that alcohol is actually a depressant. It provides a brief, momentary and illusory high of about twenty minutes followed by the inevitable descent into misery and depression and devastation. Contrary to causing happiness studies reveal that drinking is a prime cause of unhappiness, and not just to the drinker. 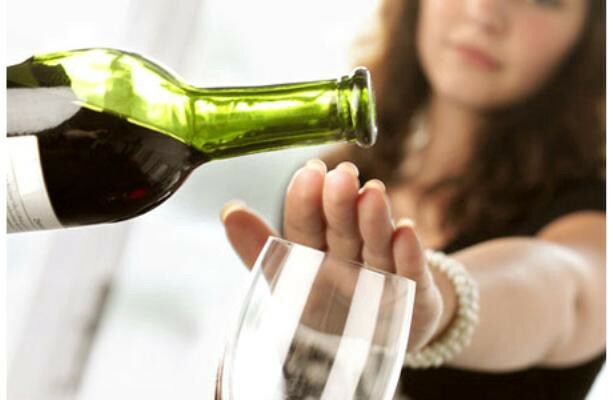 Alcohol devastates families, with 70% of alcohol-related violent incidents happening in the home. Even in the absence of violence children hate to see their parents drunk. Socialising and Having the Craic. Imagine for a moment one or other of those life defining occasions such as a wedding or a funeral without drink! It’d be tantamount to picturing a pub with no beer. There isn’t a social event in this country that isn’t laced with drink. And then reflect on the hangovers, the rows and the reputations ruined by alcohol induced incidents. Good for your health. Hear this out. ‘Researchers scored twenty drugs on criteria related to overall harm…. Overall, alcohol scored as the most harmful drug, with an overall harm score of 72. Heroin came in second with a harm score of 55, and crack cocaine scored third with a score of 54…… the World Health Organisation (WHO) says that alcohol is a causal factor in sixty types of diseases and injuries. The report goes on to say that alcohol has surpassed AIDS and is now the worlds leading risk factor for death among males ages 15-59.’ I’m old enough to recall when a blind eye was turned to the dangers of cigarette smoking. I wonder why! Wonderful with food. Think back to those first halcyon times you snitched a slug of Auntie Marys red Pedrotti or worse again, Uncle Michaels black porter. Or consider a young kid drinking his first beer at a rugby match. It’s warm, it’s flat and it certainly doesn’t taste good. If you were to ask him why he isn’t drinking a coke he’ll tell you he likes the taste. Which is teenager peer code for ‘I want to fit in. I don’t want to be different. I want to be cool’. Just like in the ads. And most everywhere else for that matter. In conclusion, motivation gets you going and routines keep you going. It’s good SMÁCHT to periodically question your motives and routines in regard to the ‘cratur.’ If you discover that alcohol is not contributing to your happiness, fulfillment and success you may consider taking action and changing your routines. In doing so reflect on the following. There will never be the ‘perfect’ time to stop drinking so DO IT NOW. When I committed not to drink for November I suddenly became aware of all the great occasions I’ll miss out on. Connacht could win or lose tonight. Either way that’s an occasion to celebrate. Ireland could beat the All Blacks in mid-November. Now that’s only ever happened once before. My daughter and wife get conferred in the same week. And my 40th school reunion happens at the end of the month. Imagine how great you’ll feel if you do this. Imagine if, as is our intention in SMÁCHT, that not drinking becomes a habit and you succeed in not drinking through Christmas and the New Year. It’s likely it could contribute to making 2019 your best year yet. If you’re interested in putting SMÁCHT on your drinking ‘The Naked Mind’ is a very powerful read in that it speaks to both your conscious and subconscious mind by reversing the conditioning you have received from the media, family, friends and society. It’s deliberately repetitive in much the same way as Alan Carr was in his ‘Stop Smoking’ books. I have to give Alan Carr massive credit for ultimately helping me quit smoking after 25 years. PS. One of the great challenges we face in making any change to our routines is FEAR. You’ve likely heard the expression FOMO – Fear Of Missing Out. That’s a big one in relation to drink. We fear we’ll miss out on so much fun, camaraderie and celebrations. At our most basic level we fear we won’t be able to handle it. On November 13th next I am presenting a workshop called ‘Feel the Fear and Do It Anyway.’ Based on the best selling book by Susan Jeffers it will teach the basic fact that the only way to feel better about ourselves is to identify what exactly it is we are afraid of and then to go and do it.